OC Toxicology provides a range of toxicology, drug testing and consulting services that are unique to the treatment center and medical industries. 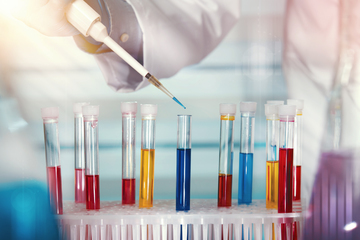 Our toxicology services include only the most advanced and innovative products and processes. Drug screen specimen samples and can be processed a varieties of ways including the processing of samples on paper requisition forms and results as well as fully integrated web based processing solutions. Our primary goal to provide all of our clients and partners with the best and most cost effective and efficient solution. In most cases, a integrated web based solutions provides to most effective processing solutions. Orange County Toxicology treatment centerand medical drug testing solutions may include and fully functional web based portal that provides easy to use and efficient processing of samples. The web portal includes the ability to enter and maintain patient data, process and submit requisition forms, select testing criteria, resolve discrepancies and errors, submit insurance information, and receive results. Whether OC toxicology is providing a paper or fully integrated portal based solution all of our clients and partners receive completed training on all aspects of how to efficiently administer and process their samples.